The little colorful things floating in the water is their food. 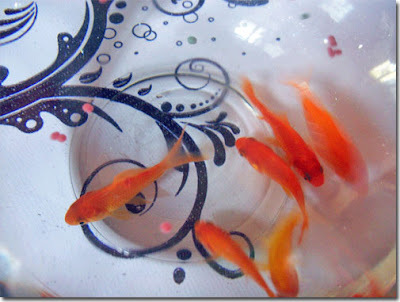 This entry was posted in Uncategorized and tagged Camera Critters, fish in a bowl, goldfish on October 30, 2010 by Yami. 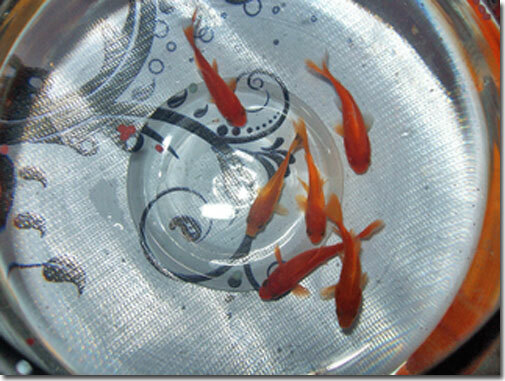 wow.. gold fishes.. my kids love them too!! We sold our aquarium when we transferred here in Bulacan. Sayang pero we need to dispose it kasi baka mabasag lang sa paglilipat. Malalaki na sana ung mga isda namin. Very refreshing kapag may living things sa loob ng bahay.